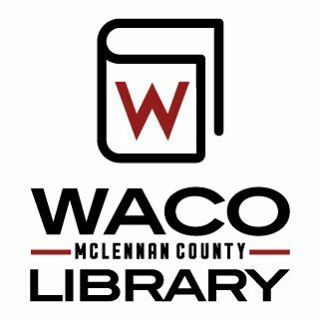 The Waco-McLennan County Library is located in Waco, Texas. They provide free information and education for the city of Waco and surrounding communities. They have four locations in Waco. In order to access information at the Waco-McLennan County Libraries, you will need a library card. It is free for Texas residents age 5 and older. Anyone under 18 must have a parent/guardian present and the parent/guardian will get a card, too. A valid picture ID and proof of residency is required. The Genealogy Center is inside the West Waco Library. It contains more than 20,000 books (plus periodicals) and 10 microfilm readers. Microfilm are available through Interlibrary Loan. The Genealogy Center also has 3 microfiche readers, 2 microfilm/-fiche copiers, 1 photocopier, and 7 computers with internet access. Resources are about the original colonies, the Midwest and South, and Texas. The Genealogy center has immigration records, and is especially strong in Czech, German, and Swedish ancestry. More than 20 percent of the collection’s volumes are dedicated to Texas. There are yearbooks, city directories, and cemetery records about McLennan county. You can find census information, records of the first settlers, and county maps. These are just a few of the resources the Genealogy Center holds. * Ancestry Library Version – The library version of Ancestry.com contains over 1.2 million records including the US Census from 1820s-1930s, births, marriages, and death records, immigration records, and more. It is available for use at any of the Waco-McLennan County Library locations. * Fold3 – A continuously growing digital database that has partnered with the National Archives and provides millions of original documents of historic and genealogical interest. It is available for use in any of the Waco-McLennan County Library locations. * Heritage Quest Online – Provides patrons with searchable genealogy context. Census images and indexes are provided for various censuses as well as access to 25,000 family and local histories. It is available for in-library and remote use. * Digital Sanborn Maps – Provides academic and public libraries digital access to more than 660,000 large-scale maps of more than 12,000 American towns and cities. Users have the ability to easily manipulate the maps, magnify and zoom in on specific sections. It is available for in-library and remote use. In addition, the Genealogy Center sometimes has events that relate to genealogy or family history. These events typically take place in the West Waco Meeting Room. Contact the Genealogy Center for more information.